About therapeutic, and rehabilitation, massage therapy treatments at Body Wellness in Durango, CO. Scott Japhet is the sole therapist and practitioner. 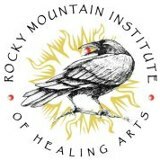 In 2010 I graduated from the Therapeutic Massage program at Rocky Mountain Institute of the Healing Arts (RMIHA), here in Durango CO. I received a diploma in “Therapeutic Massage.” It was an extremely thorough program with a focus on Neuromuscular Therapy, and injury rehabilitation techniques and methods. Also I was trained in other forms of bodywork such as: Myosfascial stretching and realignment, Sports massage, Postural analysis/correction, Pregnancy massage, and specific stretching and exercise techniques. All of these techniques are utilized in my practice today. I have committed to improving the well-being of myself and my clients using this knowledge and experience. 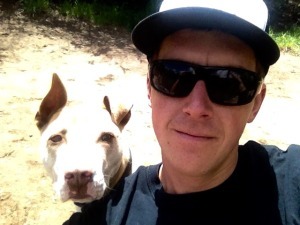 After my professional training I have continued to expand my education personally and with the help of my mentors, Jason and Holly McClintock of Aspen Wellness in Bayfield CO, both with 10 + years experience in rehabilitation bodywork. Jason and Holly have graciously taken me under their wings and have been training me and passing on their knowledge. I continually learn from their wealth of knowledge and understanding of the human body. I am incredibly fortunate to have the opportunity to work and learn with them. Personally, I am fascinated by the human body and try to expand my knowledge of it as much as possible, through various forms of media, including books, videos, seminars, and most importantly every new client I meet and treat! In April of 2014 I completed a Corrective Exercise Specialist course through the National Academy of Sports Medicine. This course has led me to expanding my services and offering corrective exercise treatments. I was born and raised here in Durango, CO. I love living in such a beautiful place and for that I feel lucky. Growing up in Durango has certainly shaped me into who I am today. I love the outdoors and many of the sports that the area has to offer. In the summer I spend my free time on the water, either kayaking, rafting, or doing my newly found passion; stand up paddle boarding! In the winter I try to ski as much as possible and take a vacation to go surfing in Baja Mexico. Other than that I love going on hikes and bike rides with my dog Lucy. My passion for bodywork started at a young age while rehabilitating from multiple injuries and quickly learning of the amazing benefits. The more bodywork I received, the more interested I became. I was and am still truly fascinated by the intricacy and powerful abilities of the human body. What I have come to find in the past several years is that there is always more to learn and embrace about the the balance between our bodies structure and function. Body Wellness is a small local Durango business. I – Scott Japhet- am the sole owner and employee of this LLC. Running my own business is very rewarding. Since I started Body Wellness I have learned a ton about being a business owner. Another thing I love so much about Durango is the abundance of small locally owned businesses and I am proud to be a part of that group. Here is a quick video of me doing one of my favorite activities | Stand Up Paddle-boarding | here in Durango on the River of Lost Souls.